This is my new book, co-authored with the sculptor Tom Grimsey and published by Papadakis. Tom’s Giants of the Infinitesimal exhibition, exhibited at MOSI Manchester and the Magna Centre, Sheffield, led to this collaboration. In this fully illustrated book we present a snapshot of this rapidly evolving field: from the omnicompetent potential of graphene, through nano energy solutions and desalination technologies, to astonishing optical effects and superstrong materials. Nanoscience also shows the astonishing beauty of the nanoworld, both natural and synthetic: from the iridescence of butterfly wings and peacock feathers to self-assembled nano “flowers”. "Many have tried and failed to write engaging and compelling books about nanotechnology. Forbes and Grimsey succeed because they take the reader on a tour of the highlights, and in their company it is like visiting an exquisite grotto: compelling, mysterious and extremely beautiful. If you don’t come away from this book feeling intellectually exhilarated, then you need to stay in more." "This nanoworld can be stunningly beautiful and the book Nanoscience: Giants of the Infinitesimal demonstrates this with over a hundred gorgeous images drawn from across the discipline....it provides a good overview of what individual nanoscientists are doing to explore this mesmerizingly beautiful world." "Nanoscience: Giants of the Infinitesimal, has selected some of the best images from the field to reveal how nature's hidden beauty could be replicated by humans." Scientists influenced by William Morris have said that an area of science is worth studying only if it is useful or beautiful. This book compellingly demonstrates that nanoscience is both. An almost fantastical array of the latest research highlights from leading laboratories around the world is cleverly intertwined with some historical facts and general scientific concepts, all embellished with art and poetry. The fact that nanoscience originates from several traditional disciplines – including chemistry, physics and biology – is fully reflected in the content and structure of this book, making its scope incredibly wide and truly cross-disciplinary. Any practising scientist or engineer, or a student of those subjects, should find this book inspiring because it brings together the latest achievements in the field, creating a real sense of the direction this research is taking. Furthermore, the authors often make interesting and sometimes surprising links between seemingly unconnected topics (for example, soap bubbles, zeolites and living cells) that may help to stimulate the readers to think outside the box in their own research. Descriptions of different nanomaterials and explanations of their functional properties and applications are clear but extremely brief, so footnotes with some references to the original publications reporting these examples would have been appreciated by the research community. The book will be equally attractive to non-expert readers who may have only vague interest in nanoscience and nanotechnology. Their initial curiosity will definitely be fuelled by the exciting academic research and the real-life practical applications of nanostructures ranging from construction materials to electronic devices and medicines. While the book does not teach the basic concepts of nanoscience explicitly, it definitely has a significant educational value for a new generation of scientists and engineers. Overall, the book is a visual and intellectual feast for academic and non-expert readers alike. Nanoscience: Giants of the Infinitesimal available from Amazon. Peter Forbes is a science writer with a special interest in the relationship between art and science. He initially trained as a chemist and worked in pharmaceutical and popular natural history publishing, whilst writing poems, and articles for magazines such as New Scientist and World Medicine. He has written numerous articles and reviews, many specializing in the relation between the arts and science, for the Guardian, Independent, The Times, Daily Mail, Financial Times, Scientific American, New Scientist, World Medicine, Modern Painters, New Statesman, and other magazines. He was editor of the Poetry Society's Poetry Review from 1986-2002 and played a major role in the rise of the New Generation Poets. He has edited three anthologies: Scanning the Century: The Penguin Book of the Twentieth Century in Poetry (Viking, 1999), We Have Come Through (Bloodaxe, 2003) and All the Poems You Need to Say I Do (Picador, 2004). In 2001 he published a translation of Primo Levi's The Search for Roots (Penguin Press). The Gecko’s Foot, a book on the new science of bio-inspired materials, was published by Fourth Estate in 2005 and was long-listed for the Aventis Prize. 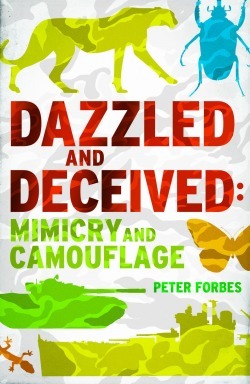 Dazzled and Deceived: Mimicry and camouflage (Yale University Press) won the 2011 Warwick Prize for Writing. 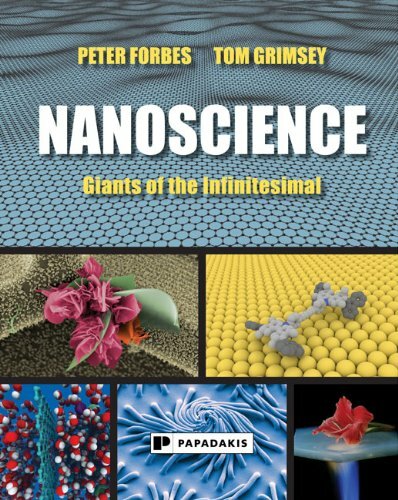 His new book, Nanoscience: Giants of the Infinitesimal, co-authored with Tom Grimsey, will be published by Papadakis in April 2014. He is currently teaches the Narrative Non-fiction short course at City University, London, and is RLF Writing Fellow at Great Ormond Street Hospital. Thanks to Rafi O'Dwyer for webwork. Dazzled and Deceived won the 2011 Warwick Prize for Writing. Peter Forbes discusses the book with the chair of the Warwick judges Michael Rosen. Dazzled and Deceived tells the story of mimicry and camouflage in the natural world and how one thing got to look like another. Woven into the story is the work of naturalist who became convinced that nature's camouflage was the key to camouflage in human warfare. And then there are the artists who were fascinated by mimicry in nature and who also were drawn to camouflage in the wars. "As Forbes shows in his remarkable book . . mimicry is not just 'a fantastical tale of visual punning in nature'."